Planning a 2-day or 3-day weekend trip to Berlin and want to see everything? Well, obviously not everything! But you want to see and do the top tourist attractions on your trip. Here is my ultimate 2-day + 3-day itinerary for what to do in Berlin. I’ve tailored this itinerary to include all the must-see things to do in Berlin. But I’ve also included a few suggestions if you want to deviate from the norm and try a few alternative things on your Berlin trip too. This itinerary is perfect for your first time visiting Berlin. Hopefully, it will save you time (and walking miles) to make the most of your 2 or 3-day weekend break. Still, need to book accommodation for Berlin? Register now to save£25 off your first Airbnb stay. 5 Where to Stay in Berlin? Firstly, let me be honest, I spent 7 days in Berlin. Yes, there’s really that much to do there. But if you’re short on time or away for a weekend break then I’ve picked all my favourite things to do from my Berlin trip and created the ultimate itinerary for your 2 or 3 days in Berlin. How nice am I, saving you all the hard work! For those of you lucky enough to be staying for 3 days in Berlin (or even more!) I’ve added a few other suggestions at the end of the itinerary, including a day trip to Spreewald (if you have the time it’s a must-visit place). 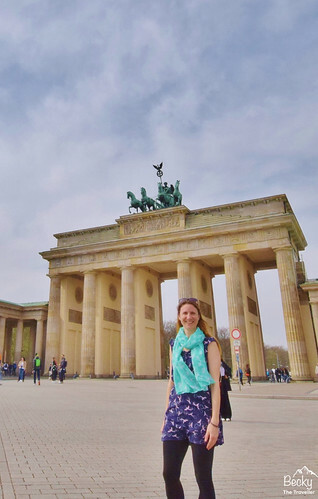 For all my Berlin posts and top tips for things to do in Berlin, you can click here to read everything from places to stay, where to go and what to see on your visit! Seven stops for your day 1 itinerary in Berlin. Scroll down for more information about each place. Berlin TV Tower in the background! If you’re like me when you arrive at a new city I tend to find the biggest and most obvious landmark to give me a sense of direction. Did I mention that I get easily lost haha! In Berlin, the TV Tower at Alexanderplatz is impossible to miss and can be seen all over the city. Take note because I also mention this for your day 2 itinerary ideas! Optional – I skipped going up to the viewpoint on this 2-day itinerary. Even though I’m sure it is very pretty, time can be spent better elsewhere and money. Tours are great when visiting Berlin, especially the free ones but they can restrict your itinerary if you are short on time. Free walking tours with Alternative Berlin leave daily from the TV Tower at 11 am and 1 pm. They last 3 hours but are well worth doing. Read more about them here in my alternative things to do in Berlin post. If you decide to so the free tour please note it ends near the East Side Galley so I’d recommend jumping to my day 2 itinerary in Berlin. The fast-view ticket cost 19.50 EUR for adults and 12 EUR. How to Save Money in Berlin? This is a huge square, with shops restaurants and cafes. But it also has a wonderful water fountain, known as the Neptune Fountain built-in 1891 it’s a magnificent piece of architecture although difficult to capture in a photo. On your right is the beautiful Evangelical Church, St Mary’s, step inside and you can admire the stunning architecture as the light floods in through the tall windows. Donations accepted. The third stop on my day 1 itinerary is about 5-10 minute walk, over the bridge across the River Spree, the Berliner Dom. This is a stunning building and wonderful to admire from the outside from the Lustgarten, which also has the Altes Museum at the other end. More time or looking for things to do for a 3-day itinerary? You can do tours inside the Berliner Dom, more information here. A popular place to stop on every Berlin itinerary! Maybe even have a picnic on the grass outside the Reichstag building. You can also do tours inside the building, right up to the dome at the top which you can see in my photo. The tours are extremely popular and you must book in advance to guarantee entry (and also to fit at the right time on your itinerary to save you from walking extra miles). If you fancy a coffee or some food there’s a great coffee shop called The Visit Coffee. It’s about halfway between Berliner Dom and the Brandenburg Gate, down a little alley next to the Nivea Shop! 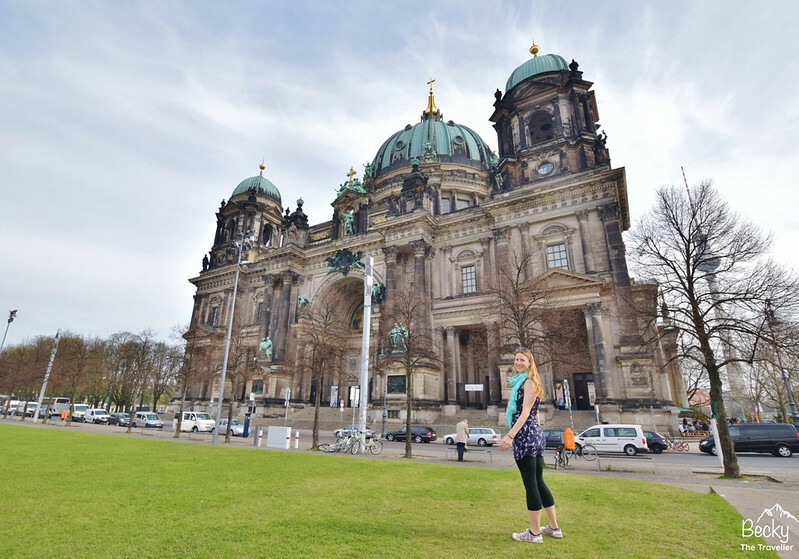 From the Berliner Dom, it’s about a 20-minute walk (1.5 km/ 1 mile) to Brandenburg Gate. It’s one road straight up so you can’t get lost. But if you want to rest your feet the 100 bus goes up the road. Walking down the road you’ll go past the Berlin Opera House on your left. Brandenburg Gate is a magnet for tourists, as you would expect. But it’s a pretty big gate so you should be able to find a spot for a photo. As you walk through the Brandenburg Gate, cross the road you’re now in Tiergarten, Berlin’s largest inner city park. Both locals and tourists flock here on hot sunny days to relax, play games or read a book. You could literally spend an entire day exploring this park so I will let you decide how long you spend here on your Berlin trip. I’m sure that will depend on what the weather is doing. This sends shivers through me typing the words and remembering how it felt walking around the dark, cold and very symbolic memorial. Ensure you plan enough time in your day to spend here without rushing. The idea of the memorial is that you walk, sit and think about those who lost their lives. It is not a place for selfies, as I saw numerous people doing. It is my opinion but I feel strongly about photos at places where you should be respectful. 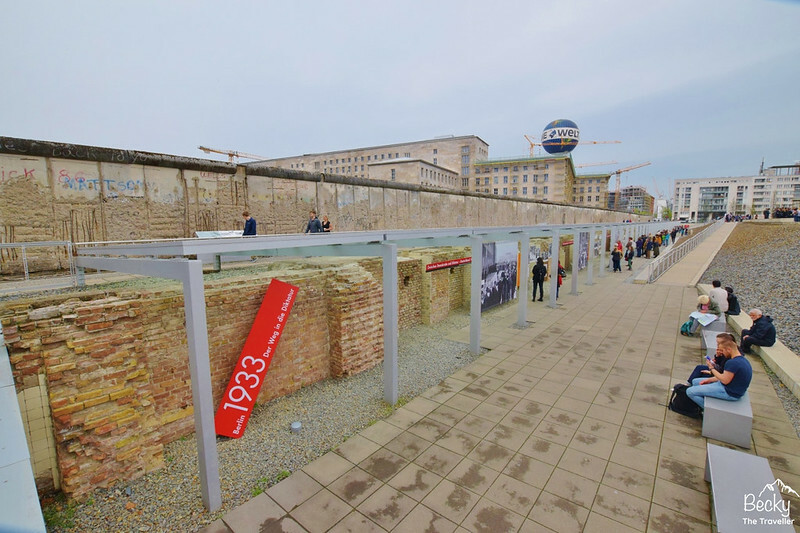 Day 1 Berlin Itinerary Note – The Topography of Terror Museum and Checkpoint Charlie are very close by to here. I would recommend returning on day 2 as there’s a lot to see and it’s quite overwhelming. Maybe see how you are doing for time on day 1 and decide when you’re here. 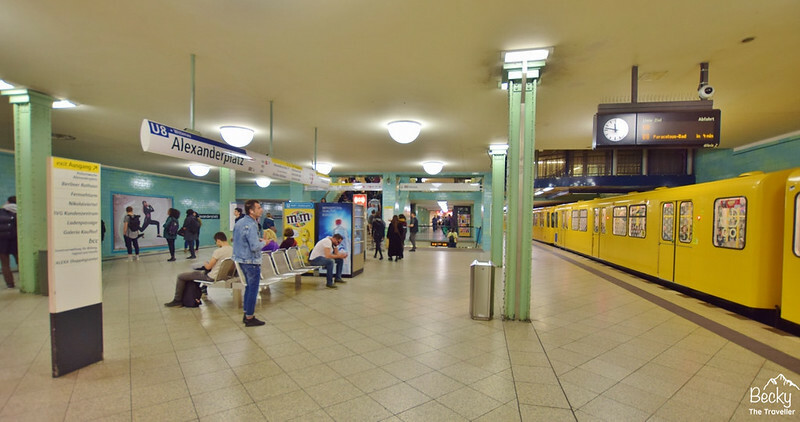 The U-Bahn is a great way around Berlin (and included with the Berlin WelcomeCard). For me, this is a must-see place on your Berlin Itinerary. Start your day with a lovely walk down the East Side Gallery (the light is also better in the morning). If you look on Google Maps it is simply a point on the map, when actually the gallery is 1.3 km long (the longest outside gallery in the world). It took me a good hour to walk the entire length and enjoy the many different and thought-provoking pieces of art. Before you leave, enjoy a cup of coffee alongside the river. 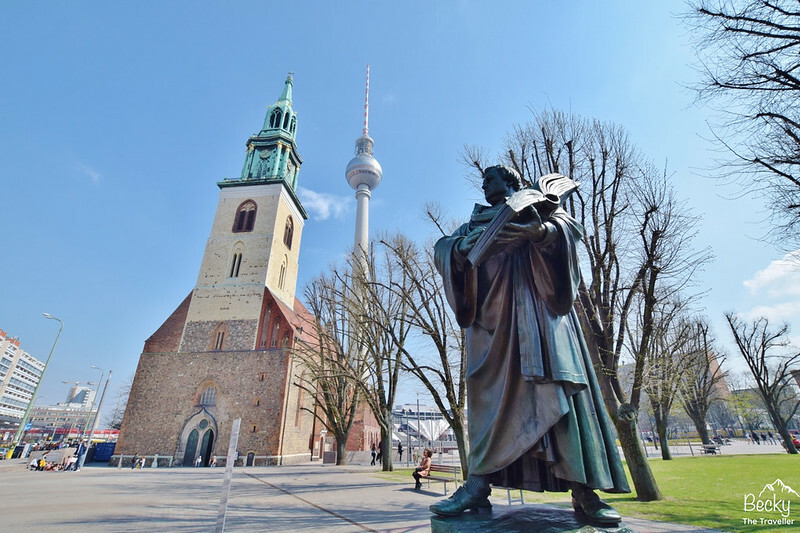 2-day itinerary time saver – From the East Side Gallery, I would then jump on a train (U-Bahn) from the nearest station which is Schlesisches Tor to Kreuzberg as it’s a little walk. Want to see the more hip side of Berlin on day 2? Kreuzberg with its street art and graffiti is certainly the place to stop. Plus some great cafes and places to stop for a drink. 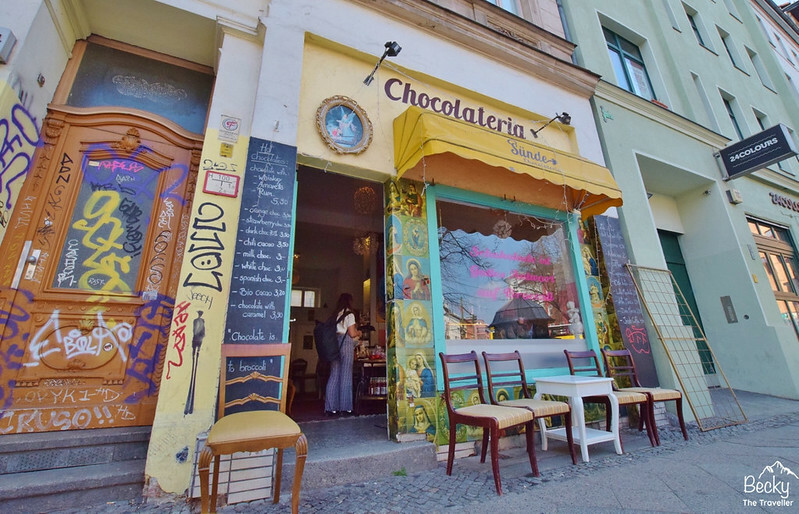 This is one of the coolest cafes that I visited whilst on the Berlin Walking Tour. From East Side Gallery, you can jump off at either Kottbusser Tor or Hallesches Tor stops in Berlin to spend as little or as long as you want to explore. It’s worth wandering up and down the side streets too looking out for different styles of street art and graffiti. Want to do a full tour? 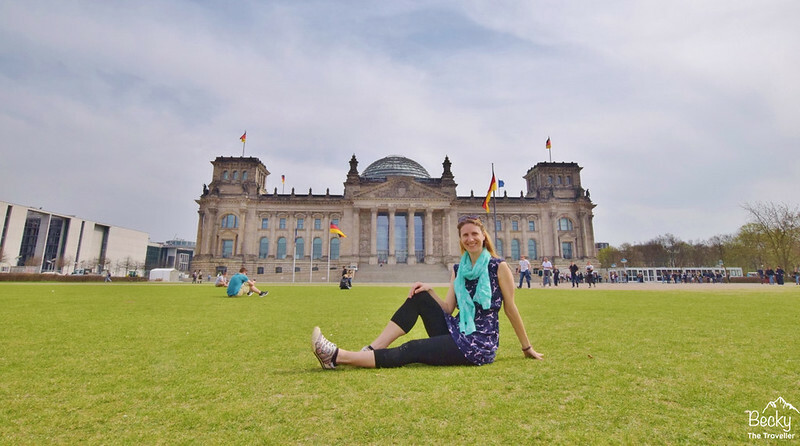 Check out my 5 alternative things to do in Berlin for more ideas and info. After you’ve done exploring Kreuzberg (and maybe stopped for some lunch). There are so many great restaurants here, maybe worth popping back in the evening on day 2 or 3? Next, you can then either jump back on the U-Bahn from Hallesches Tor (5 mins) or walk the 1 km to Checkpoint Charlie. Everyone raves about Checkpoint Charlie and you will find it included on most Berlin itineraries. I found it a little disappointing. 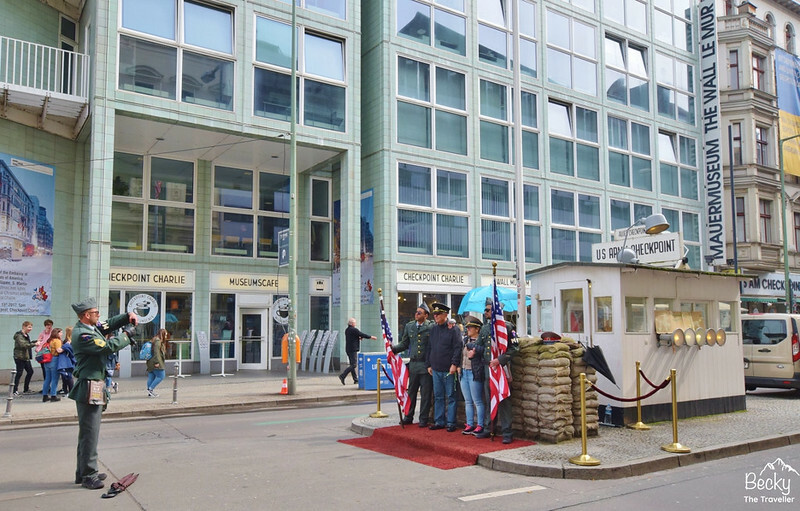 A fake stand has been put up, where you can pay for the ultimate Checkpoint Charlie photo. Hmm not for me, but again it’s personal preference. 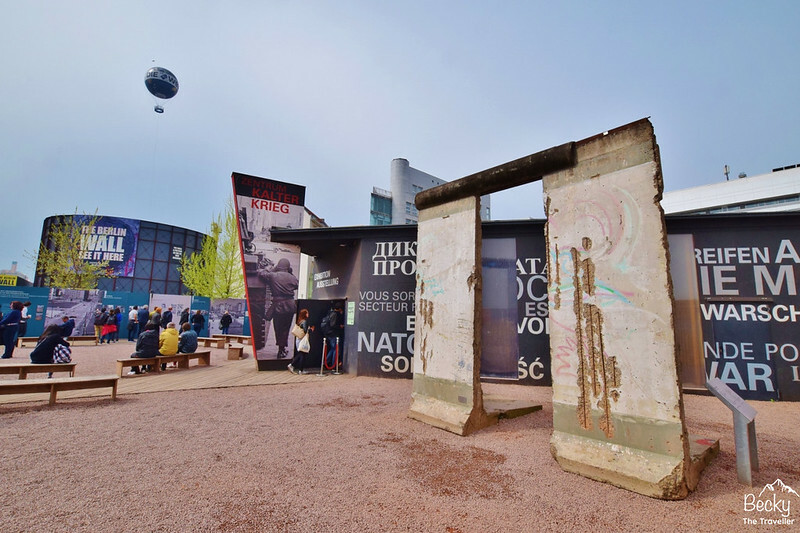 However, there is loads of great information right next to Checkpoint Charlie so it’s still worth visiting, plus a museum you can go in to and read more information about the history of Berlin. This is an indoor and outdoor museum, which has a wealth of information and photographs sharing the history of Berlin. There is also remains of the Berlin wall, bare and unexposed as it was for all those years. It’s powerful, shocking but a must-do stop on your Berlin trip. There’s is so much information you could literally spend several hours, reading and learning about the past of Berlin. Again I feel this is a personal preference so take as much time that suits you, there’s no right or wrong for how much time you spend. Are you staying for 3 days in Berlin or maybe longer? 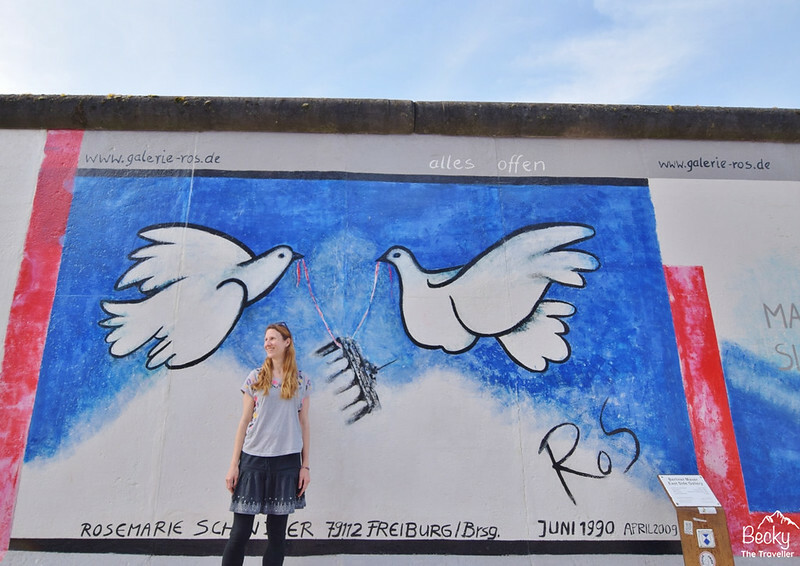 Check out some of the alternative things I did on my trip to Berlin and also my day trip to help plan your itinerary! I tried a couple of the Berlin Walking Tours including a great one that included a Street Art Workshop as well. You can even attempt to create your own masterpiece! Check out all the tours I did here (free + paid options). Alternatively, there’s an abandoned Spy Station, a short train ride away from Berlin city centre. If you have longer to spend in Berlin then I’d recommend going to visit and take a picnic to have up on the hill too. A unique place to visit for a morning or afternoon on your Berlin trip. Want to plan something different to do on your itinerary. Why not take a train to Spreewald, go punting or even hire a kayak to explore the waterways! Check out my day trip from Berlin to Spreewald Biosphere Reserve, includes details on how to get there on a day trip. During my Berlin trip, I stayed at a couple of different places. For those travelling on a budget, you could try one of the hostels – EastSeven Hostel or 36 Rooms Kreuzberg. EastSeven was more a backpacker hostel and felt very friendly and welcoming, whereas 36 Rooms was the lower budget and had a mix of people staying (backpackers and workers). But my favourite place to stay in Berlin was at Huttenpalast Hotel. 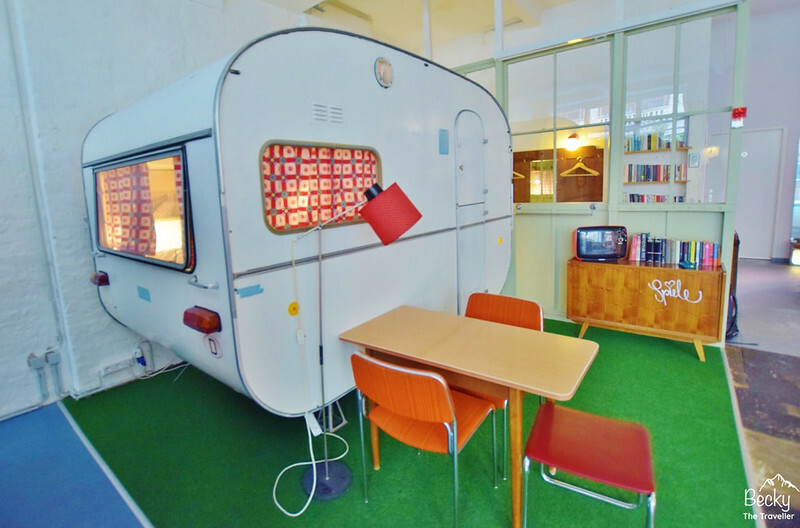 It’s a hotel made of caravans and huts (yes, seriously). You can check out my stay here at Huttenpalast Hotel, with all the cool photos I took! 20% discount code off Water-to-Go water bottle, plus more!